Who are these Bottlenose dolphin? Bottlenose dolphin (Tursiops truncatus) are a coastal species that reside in Laguna San Ignacio, but little is known about these cetaceans. 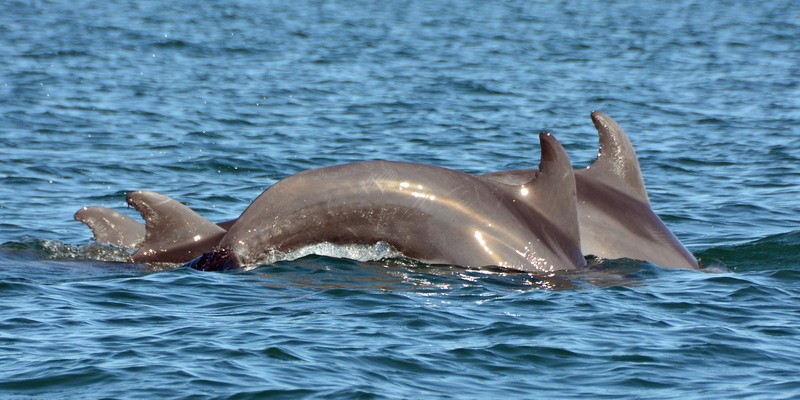 According to the local residents of Laguna San Ignacio, Bottlenose dolphin are seen in the lagoon throughout the year, which suggests that they may be resident to the lagoon and its surrounding bays and estuaries. There is no information on the dolphins migrations (if any), the extent of their range, or if they are part of the Bottlenose dolphin population that occurs along the coast of Baja California Norte and Southern California in the United States. Comparison of dolphin photographs from Laguna San Ignacio with photographs from other lagoons and coastal areas will allow researchers to learn if the dolphins in Laguna San Ignacio are a unique local population, or part of a larger coastal Bottlenose dolphin population. LSIESP researchers have compiled a catalog of digital photographs of bottlenose dolphin dorsal fins that were photographed opportunistically in Laguna San Ignacio since 2005. This catalog will serve as the baseline for Bottlenose dolphin research and population evaluation program that will begin in 2017. Gabriela Noemi Salazar Sánchez and Fabian Missael Rodríguez Gonzáles from UABCS will begin their thesis research to document the distribution and abundance of bottlenose dolphins that reside in the Laguna San Ignacio lagoon complex and its estuaries. 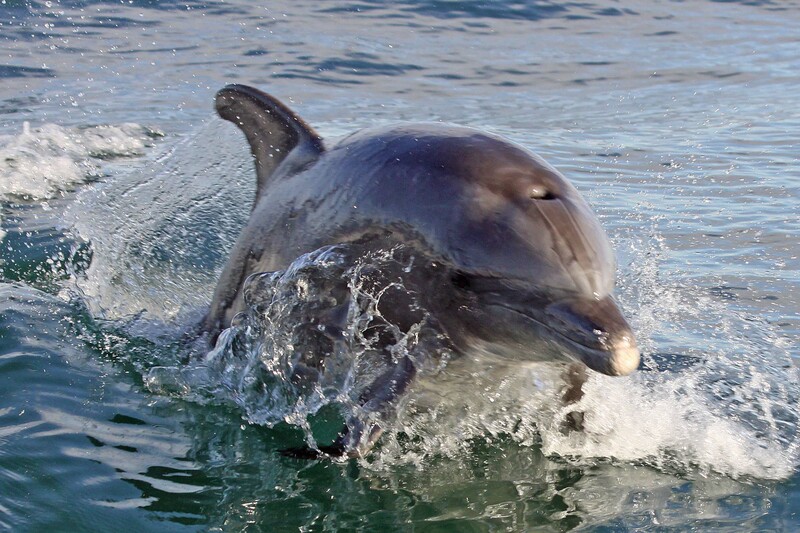 The new catalog will be shared with Bottlenose dolphin researchers in other areas along the Pacific coast of Baja California and in the United States to better define the range of this species in Mexico.